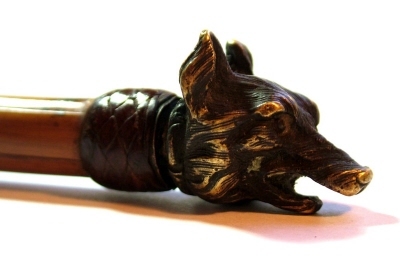 Lovely example of a bronze fox mask slim line bamboo kennel cane. The figure head completed with a leather collar and base metal ferrule. A few minor expansion lines in the length of the bamboo. The fox mask,leather collar and ferrule all in lovely condition.